The AIRAID 252-255 fits some Cadillac CTS models. See vehicle applications for details. Very pleased with this intake. I first purchased another well known brand of cold air intake for my 2011 Cadillac CTS4 3.0L and after about 4 hours trying to install, not including a trip to auto zone in the middle of it because at the time it was apparnent a peice was missing plus a day of driving with a CEL causing my car to run in limp mode I came to the conclusion “they” sent me the wrong kit. 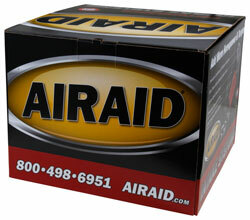 I was refunded and started the research over for a quality cold air intake and came across AIRAID. Simple plug and play installation. Took me maybe 45 mins. My car runs great and sounds mean. I am Incredibly satisfied with this product and would recommend and re-purchase.